This part is limited to stock on hand. This means once current inventory is sold out, it will not be back ordered nor will it be built again. In the rare case where a product is oversold, your order may be partially filled or canceled and payment will be refunded. Used on 37° flared tubing. DO NOT overtorque! Sniper AN Fittings such as AN hose ends and AN adapters found on this website are for fuel systems, water and oil. They are NOT for building high pressure nitrous lines. We do, however, offer NOS components and complete NOS kits. 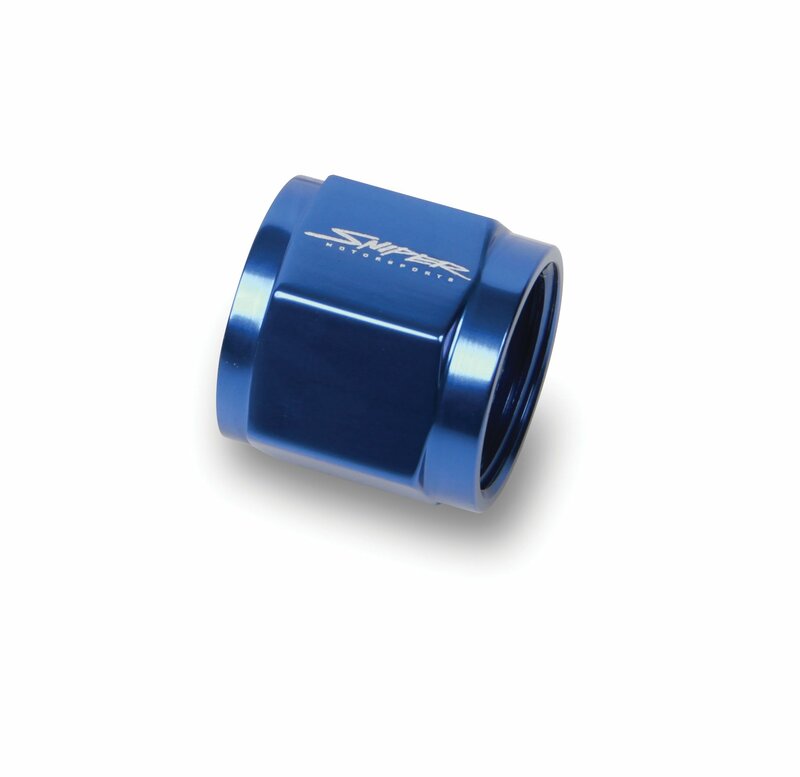 Sniper Tube Nuts assist in attaching tubing to 37 degree AN adapters. And, being hand polished and bright dip anodized means they look good while doing it. Precision performance and great looks at a price that will kill the competition!